Microsoft hasn’t yet closed the door all the way for those in search of a Windows 10 freebie. You can still get your hands on a no-cost upgrade to Windows 10 by turning to a page for people who use assistive technologies. Windows 10 had been a free upgrade to Windows 7 and 8.1 users. But that deal ended Friday, at least for most people. You qualify for the free upgrade if you use assistive technologies, which include such features as a magnifier to better see the screen, a narrator to read text aloud, keyboard shortcuts and an on-screen keyboard. Such tech is “designed to provide additional accessibility to individuals who have physical or cognitive difficulties, impairments, and disabilities,” according to Microsoft. Following the trials and tribulations of Windows 8, Microsoft has been working hard to coax people to jump to Windows 10. The free upgrade offer for users of Windows 7 and 8.1 was a huge part of the company’s strategy to push Windows 10. But as of Friday, people must now pay $119 for the Home edition or $199 for the Pro edition — with the exception of assistive tech users. Click on the Upgrade now button. A file will download. Run the executable file to install the upgrade. At no point during the upgrade does Microsoft ask for proof that you actually use any of the assistive technologies. So the upgrade seems to be accessible to any Windows 7 or 8.1 user who still wants to get Windows 10 for free. 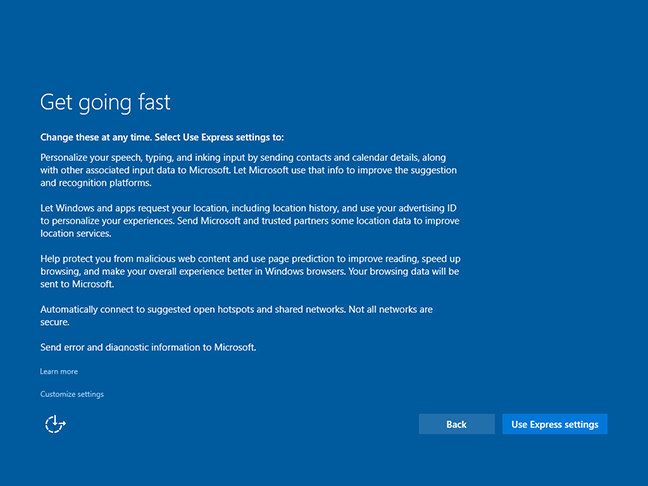 Apparently, you can let your conscience be your guide, though Microsoft hopes otherwise. Microsoft has not announced a deadline for the free offer for users of assistive technologies, so those of you who still want Windows 10 should grab the freebie while it lasts.